India’s national election is the biggest democratic undertaking on Earth, with hundreds of millions of voters from the Himalayas to the tropics casting their ballot in the world’s second-most populous country. The number of Indians eligible to vote. At the last election in 2014 there were roughly 815 million, but just 550 million exercised their franchise. In India’s first election in 1951 there were 173 million eligible voters. The increase in eligible voters across India in this election compared to 2014, when Prime Minister Narendra Modi and his Bharatiya Janata Party stormed to power in a landslide. The number of eligible voters aged 18 to 19 in this election. Two-thirds of Indians are under 35. Voters identifying as transgender, recognised by India’s Supreme Court as a distinct third gender in 2014. The number of electronic voting machines required for all the ballots to be cast in the mega-election. Polling stations to be erected for the election. The number of candidates across India who contested the elections in 2014. 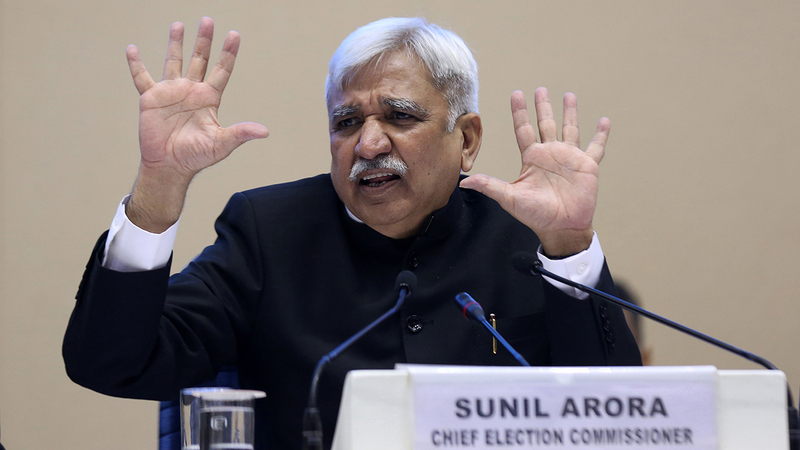 The number of political parties — though only 1,841 are recognised by the Election Commission. Seats in the lower house of India’s parliament, the Lok Sabha. Only 543 are up for grabs in this election — two are reserved for members of the country’s tiny Anglo-Indian community. The number of lawmakers elected to parliament in 2014 with criminal records. The amount of dollars seized by election officials from politicians and their supporters for misuse — including vote buying — during the last poll. Candidates are only allowed to spend $100,000. Litres of alcohol confiscated by authorities during the 2014 campaign. Booze is often used to buy votes from poorer communities. Kilograms of illegal drugs seized during the same period in 2014.